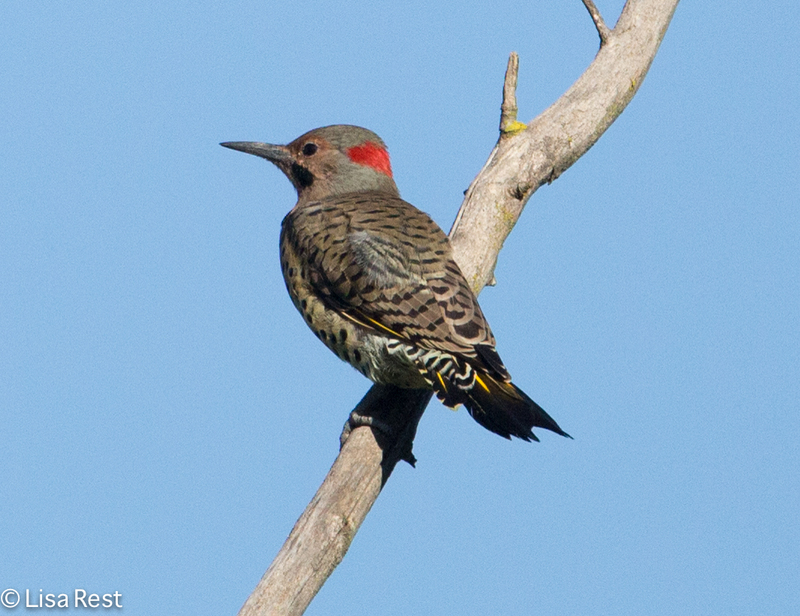 Sunday morning at the Chicago Portage, I encountered what may have been a family group of Northern Flickers and spent time observing them. 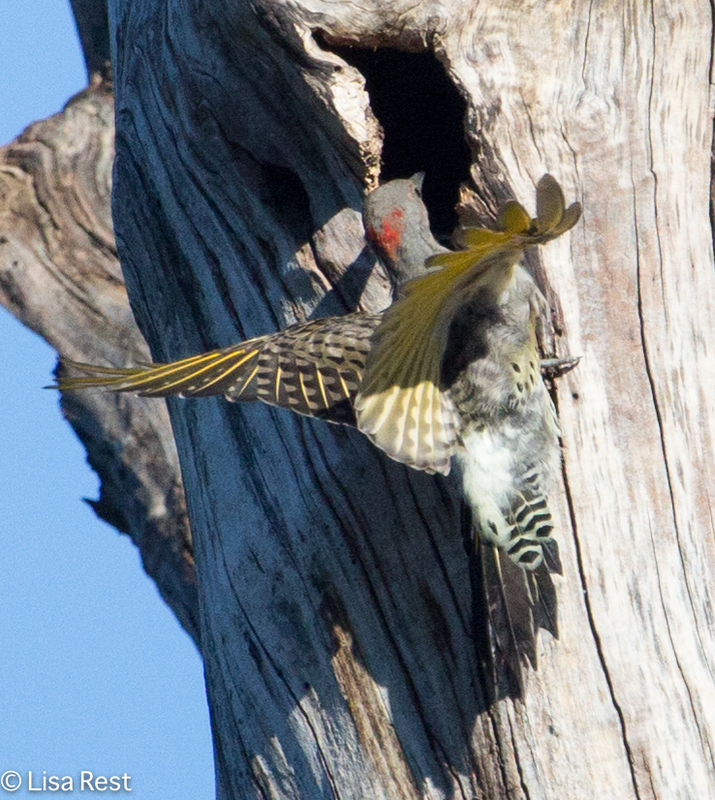 Individually Flickers can be pretty shy, so I was not about to pass up this opportunity. Although I was not able to get one to repeat my earlier experience, I did manage to capture a glimpse or two of the golden shafts, albeit from the back side. Checking to make sure they left nothing behind? 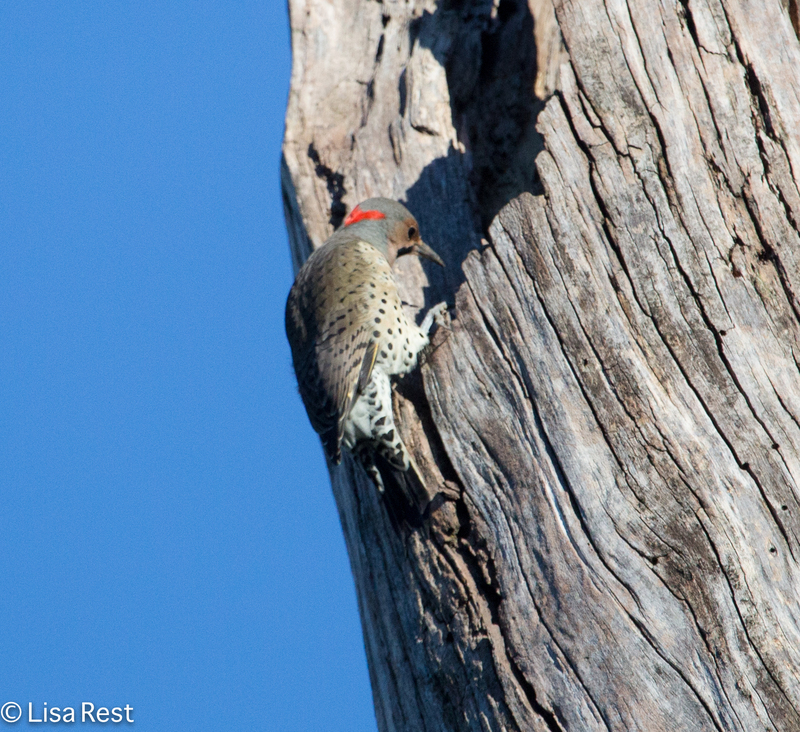 Earlier this spring, a pair of Flickers spent much time discussing the nesting possibilities of this same dead stump. I never managed to check to see if they used it for that purpose but I imagine they did, their nesting experience was a successful one, and now they are reluctant to leave. 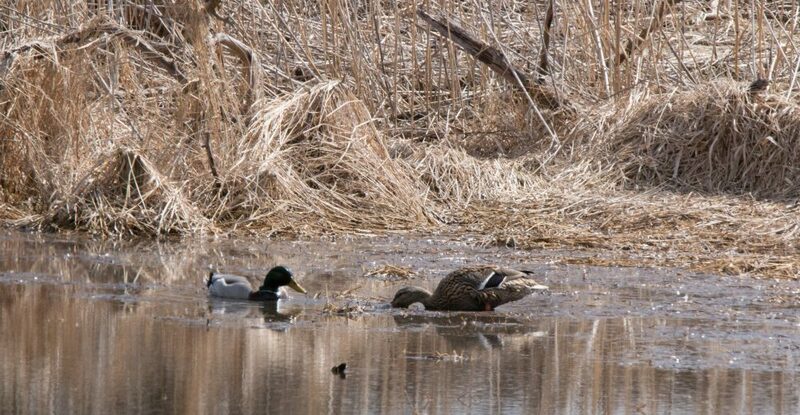 Sometimes that white rump speeding away from me is all I will see of one of these birds. The light is rarely so fortunate to capture all this color. 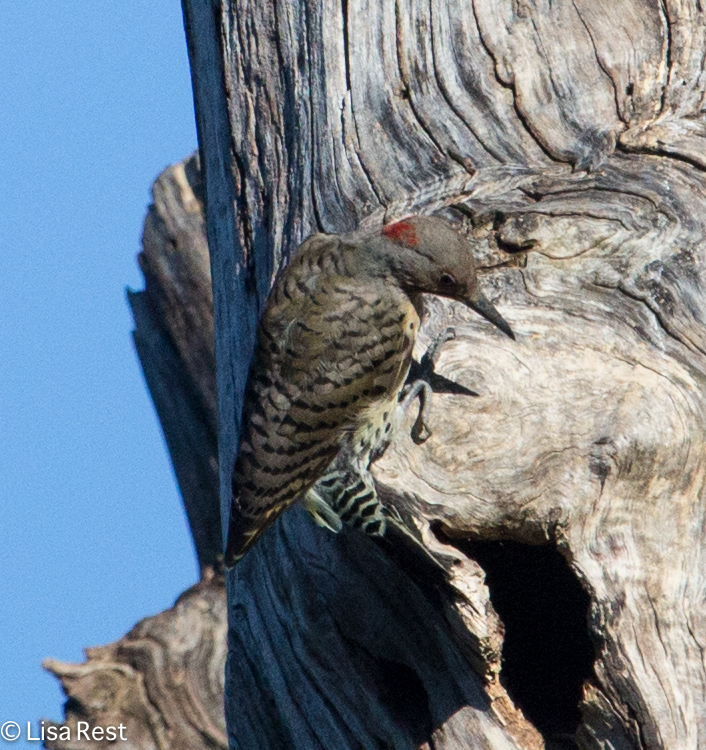 By the photo below, I now think the Flickers may have been attracted to this stump because they can blend in so well with it. More will follow eventually from Sunday’s excursion, in a subsequent post. 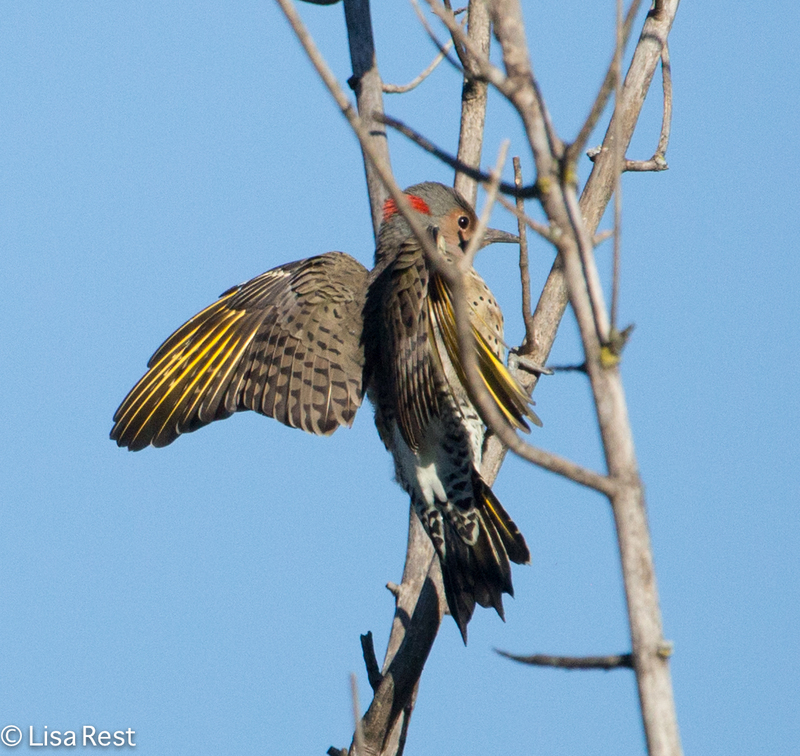 This entry was posted in birds, photography and tagged Chicago Portage Woods, Golden-Shafted Flicker, Northern Flicker, woodpeckers by Lisa Rest. Bookmark the permalink. Great photos again, Lisa. 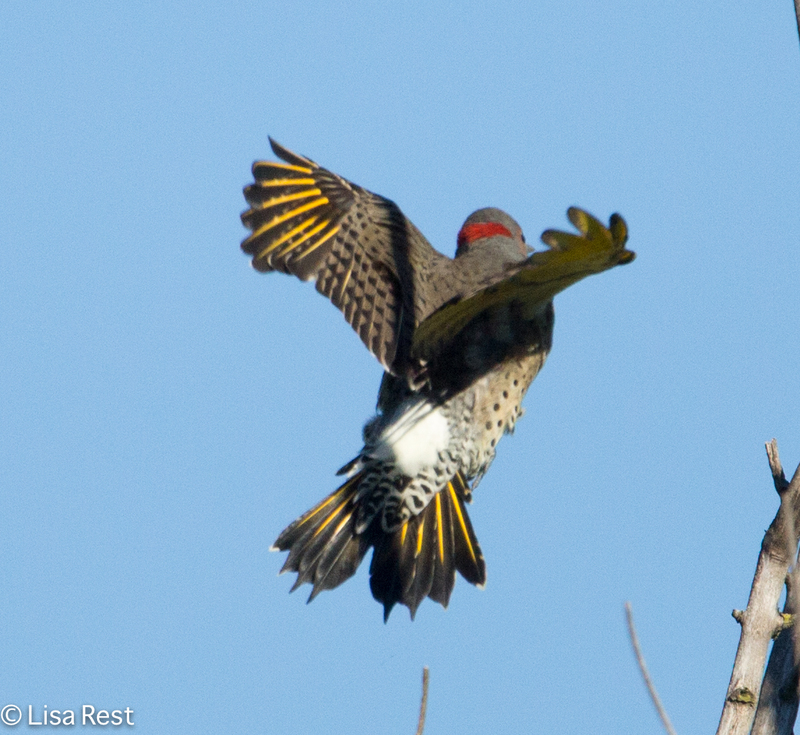 I love those Flickers. I think we get more of the Red-shaffed ones here, and they should start showing up around Mid-October. What a gorgeous set of pictures. Thank you. These turned out to be the only time when the bright light was useful. As I go through the rest of the pictures from that day it’s becoming increasingly obvious the light was working against me.